but really, how often does this get to happen anymore? 1 - We're going strawberry picking with some friends this morning! 2 - Grilling out this afternoon on a beautiful Friday! 3 - We have a cousin's 3-year birthday party tonight! 4 - Journey Saturday and Sunday! Have I ever mentioned how much I LOVE our church?! This is what we do when he gets home every day! 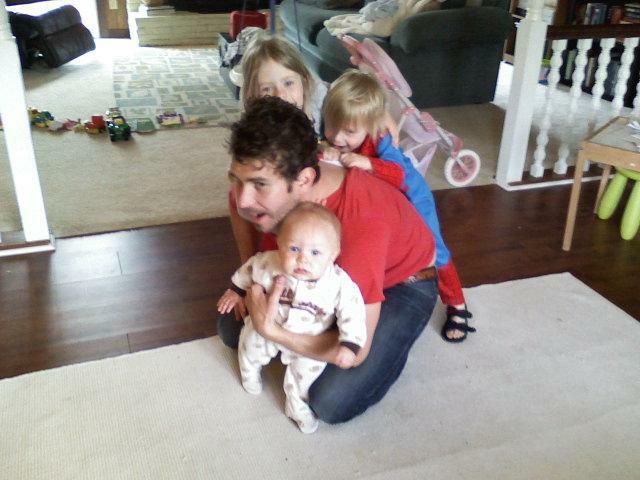 When he works from home, the kids have put him on a strict schedule. 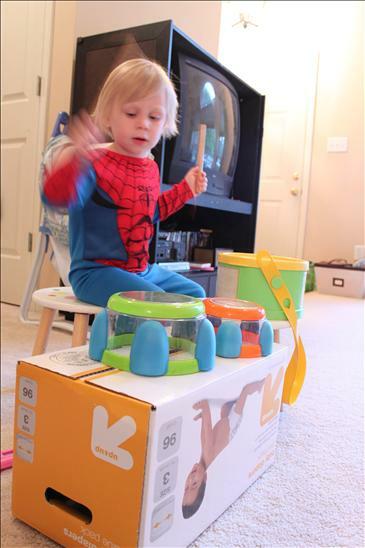 They say, "OK daddy, work a little, play a little, k?" A friend of mine was talking about this website that encourages organization and routine. I was sold right away, of course. 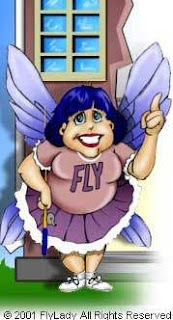 It is called Fly Lady. This site encourages you to take 15 minutes out of your day to organize something around your house. That's it! They set small daily, weekly and monthly goals that are very attainable. April's challenge is just to get in the habit of making your bed every day. The weeks zone challenge is to work 15 minutes a day in your living room. The daily routine for Thursday is errand day. So, let's make 15 minutes count this afternoon. What are you going to work on? I unloaded and reloaded my dishwasher. I just thought Micaiah was still in the living room! ants. Ants. ANts. ANTs. ANTS! I can't seem to get a handle on them. Originally I thought I had some kind of critter, ie. rabbit, squirrel, raccoon, deer, etc. eating my garden. I got Critter Ridder, a cage, netting to go around the perimeter AND the top, and STILL, my garden was constantly being eaten. My dad found the culprit while they were in town last weekend. It is the ANTS that have taken over my garden. The cage I have built around my whole garden cannot keep these pesky things out! The last thing I tried was corn meal. We'll see how that does. I'm running out of condiments! Harris Teeter triples starts tomorrow. I've got my list together. Go HERE and HERE to get yours started too! Ok...so I KNOW you are going to laugh when you read this but I'm all about transparency on this blog, right? Anyway, one day last week, Josh told me that he had come across something pretty random during his search. He told me that people are selling milking goats for like $50 all the time on there. There was a sparkle in his eye just waiting for my reaction. I could tell where he was going with this because he had just spent HOURS, literally, mowing our yard. That's just the mowing. He can't seem to find extra time to trim or weed eat or ANYTHING else. Well, I pretty much laughed it off...but 5 minutes later my mind started conjuring up endless benefits to having one of these milking cows. I mean, free milk, free lawn care, we have the perfect yard for one of these guys, my kids would LOVE it! We even have a fenced-in section in our backyard for her to roam around in that we could clear out. I was asking my mom about milking goats and she smiled. I was thrilled that she thought it was a good idea. She had NOTHING but positive things to say about female milking goats...until she looked at me and said, "BUT, you have to milk them every day...twice a day." My world crashed around me. We travel for a living. There is NO way that would work. I started picturing family vacation snuggled up with a goat and my dream vanished. if it affects me and my immediate family?" I just finished reading Francis Chan's Forgotten God a few weeks ago. There hasn't been a book of his that I haven't walked away from the same. The above quote really hit me! Josh and I have always had mixed feelings about certain financial advice. On one hand we know it is a good idea to have an emergency fund built up and to save for retirement and to put money toward life insurance and our next car and the roof that is caving in and the...well, the list just never ends. Where do you draw the line? I know for us we don't nearly make enough money to designate for all these different categories. We don't even have a separate "envelope" for medical expenses, it comes out of our gas/spending money. We make just enough to pay our bills, give to our ministries and sometimes even save. As a matter of fact, when we went in to get some financial advice from the finance guy at our old church he said, "You guys are GREAT with your money, you keep excellent records of your spendings, you just need to make more money." Basically, if we want to save, we're gonna have to find some other ways to make money. Oh well. I am a HUGE fan of Dave Ramsey and his financial advice. But for those of us who don't make enough to alot to all these different categories it can leave us frustrated and confused. Josh and I KNOW we are doing what God has called us to do and we KNOW our financial status doesn't deem whether we are walking in God's will or not. We have learned that His blessing on the direction we are going is not always a financial one. So, when I read this quote it was almost a relief. It put into perspective that God's people, whether lost or saved, are in need. If we truly believe that all we have is His I feel like we will obey Him and answer His calling to help and to give. To further drive in this conviction Pastor Jimmy was speaking on the second coming of Jesus a couple of weeks ago and said, "If you truly believe that Jesus is coming again soon, then you will live differently." As that was soaking in, a thought crossed my mind. If you truly believe that Jesus is coming again soon, then you will give differently. So, why do we feel the necessity to put that extra money in our own emergency fund for an emergency that MAY or MAY NOT happen one day, BEFORE we give to another need that God has laid on our hearts? Side note: I am not saying we should never save. I think that would be foolish. But, I am suggesting that we search our hearts for any burden that God may be putting inside of us to see if there is a greater need to give toward first! Meanwhile, if that emergency does come up, trust that God will provide. I mean, don't you trust that God will lay on your needs on other's hearts? This is NOT the child I dropped off in his class this morning. MY child was wearing plaid shorts and a red shirt. I mean, REALLY, what kind of mom would let their son come to church in a costume. Oh wait, it's not even a costume...it's Batman jammies! Apparently Batman made an appearance in the middle of one of the services today! Evidently my son snuck him inside his lunch box, without me knowing. Not only that, he somehow snuck his lunch box into his class room. My son completely warped into Batman right in the middle of his class. Nope, he didn't exit his class and discretely make the switch in the bathroom or anything. He disrobed right in the middle of his class. At least, that's what I'm told. I found out that my son was missing and that Batman had taken over his body, by another mom while I was feeding Micaiah, HA! 1 - Micaiah completed his anti-biotic for his ear infection, meaning, I got my happy baby back (for the most part;). 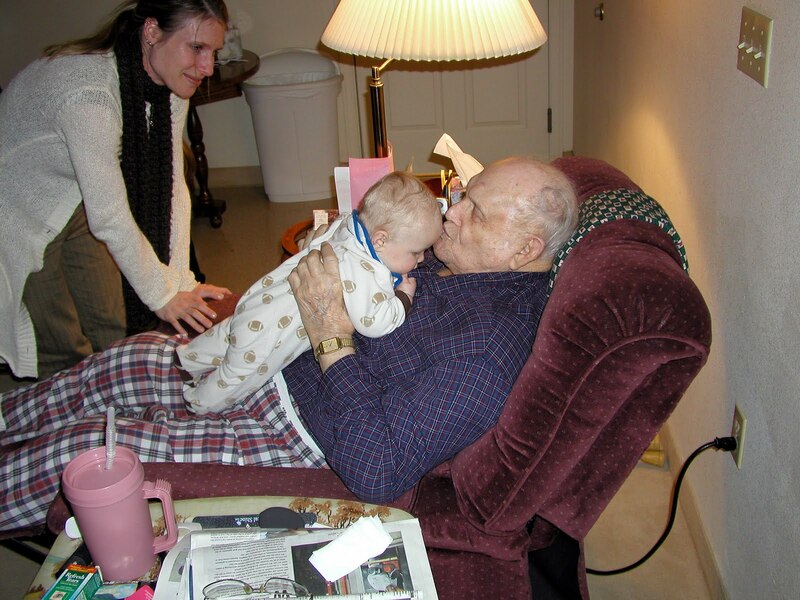 2 - I got to see my parents again. That's always awesome. 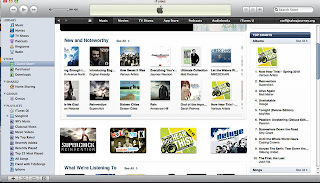 3 - We made it to the Top Ten on iTunes! What What?! It's been 4 days and we're still in the Top 100. Not bad for an independently released album! 4 - Our friends just passed court for their adoption! I'm so excited to meet my new nephew, Eli! 5 - Josh put up my clothes line. Woohoo. I've been wanting one of these for FOREVER! We've got proof. We made it to the top 10 around 11pm last night and we're still hanging on at 10am this morning! It doesn't really mean anything at all. We don't get a prize or anything...but it's still pretty sweet none-the-less. I want to be careful to say that God was so gracious to allow this to happen. Cliche to say, I suppose, but what a sweet little victory he allowed us to experience. We know it won't last eternally (or even through the day for that matter, ha! ), but one thing we are clinging to is that the gospel, through lyric and song, have made it into more hands through this and hopefully bringing people closer to Christ! We just realized that we are climbing the charts on iTunes. "The First The Last" is the #23 top downloaded album on iTunes' Christian/Gospel genre. Let's see if we can make it to the top 10 by midnight! Josh's new album, The First The Last releases on iTunes today! I'm so proud of him. Each album just keeps getting better and better. The Lord really opened up some HUGE opportunities with this album. 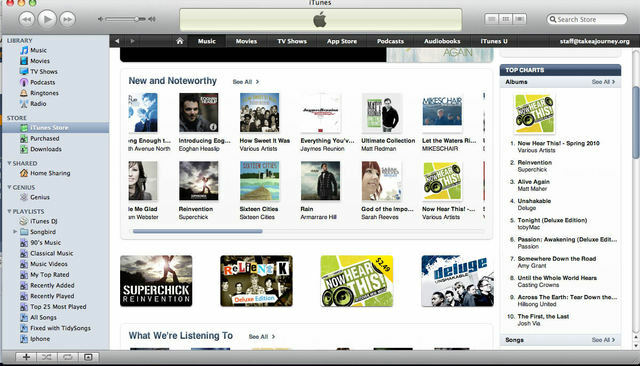 Click the iTunes button below and get your copy! 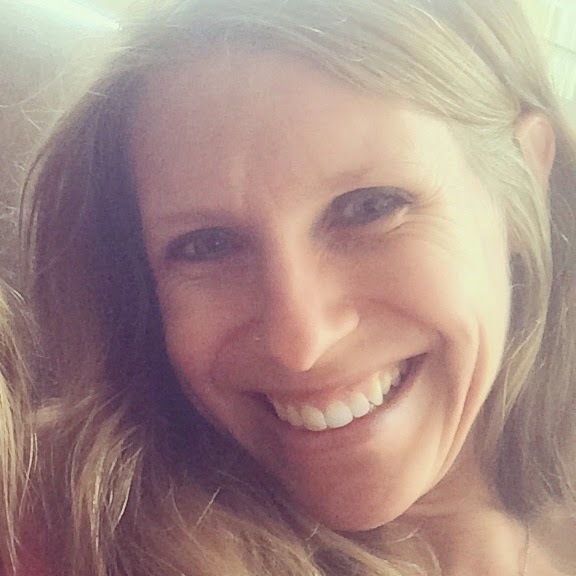 I've had the privilege of being interviewed by Blog Interviewer. They contacted me a couple of weeks ago and asked if they could ask me a few questions about my blog. You can read my interview HERE. Enjoy! One more thing...Josh will be co-leading with our buddy, Andy Cherry, at CharlotteONE tonight. Stop by and say "hey" to him if you live in the Charlotte, NC area. It starts at 7pm. When my kids were babies, it was easy to cuddle them close, to nuzzle their necks, to tickle their pudgy bellies, to play games with them, to nibble on those chubby cheeks and rolly-polly thighs. It literally came naturally! I mean, who can resist chubby thighs like these?! But now I have a 5-year-old. (I know, I wonder how that happened too!) It doesn't come so naturally to play silly games with her and to tickle her and to nuzzle her neck and to nibble on her cheeks. I've noticed a trend with Areyna lately, though. She has been wanting more of me. While I'm picking up Zeke and squeezing him she'll ask, "Mommy, will you do that to me? Will you pick me up and squeeze me as many times as you did to Zeke?" (Note, Zeke weighs almost less than Micaiah!=) My first reaction used to be, "Rainy you are getting so big I can't pick you up anymore", and just kept moving. When I'd start tickling Zeke on his lower bunk she'd say, "Mommy, will you come up and tickle me as many times as you tickled Zeke?" When Josh starts playing silly night-time games with Zeke, Areyna will literally get hysterical if Josh leaves the room without doing the exact same thing, the exact same amount of times, as he does to Zeke. That's when I realized that, subconsciously, I had been withholding these sweet acts of love from her. I realized that this is a very pivotal time in my little girl's life, and that I need to love on her even more! She NEEDS me almost more now than ever. She needs me to live out my love. To exemplify Christ's love! I think so many times we, as parents, miss seeing this need of our older children, the need to be kept close. She may not be as small, cuddly and cute anymore, but Josh and I were reminded that she won't always want us so close and that we need to take advantage of these times as long as we can. So, I apologize for cutting this short, but I have some 5-year-old cheeks to go nibble! 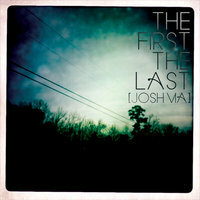 This Wednesday, April 21st, Josh's new worship CD, "The First, The Last" lands on iTunes. Get your copy and help support local music that is Gospel-centered and Christ-honoring. And help spread the word. Thanks so much for your love and support! Join the Event and tell a friend! What kind of kid wants to clean their outside toys? Why does he always have to kiss everything, yeesh! He's getting faster (and stronger) by the day. during my trip to CO a couple of months back. He'd never seen Cai before. I sure love that man! in my kitchen from my own backyard. I know I will 'cause I get to see my parents. We finally get to show them our new house! Josh and I had a great time celebrating his birthday last night. It's always nice to know that the kids are taken good care of and that we have uninterrupted conversation to look forward to (at least for a few hours). Note his hand placement, ha! I'll give you one guess as to what Zeke did all night! To say that yesterday was a rough day is a HUGE understatement! ...and then we had play day at Aunt Kelly and Uncle Moose's house and I quickly realized that he had just been warming up with the previous episodes. There was no reasoning and rational thinking. The safest place for him (from Mr. Spanky, our "consequence" spoon, and this crazy woman he calls "mommy") at this point was strapped in his car seat (doors open for cool air of course). I left him kicking and screaming while I gathered up the other 2 kids, and what was left of my sanity, and headed home. My in-laws were passing through to wish Josh a happy birthday (it's his 30th today!!!! Stop by and tell him HAPPY BIRTHDAY!) and brought us a slushy, which plummeted to it's death ALL OVER MY KITCHEN FLOOR only moments after my first sip. Oh, did I mention, my swiffer broke in half which means that I STILL have a sticky kitchen floor? After days like this, I am reminded that "this too shall pass" and these days are quickly lived. I KNOW my children are a gift from the Lord! I do. I don't think that I take that for granted. I know some people struggle to have children of their own and other's have lost their children. I understand that my children are God's children and that I have the responsibility to teach and train them, which, I think, is the number one reason why I get so overwhelmed with days like these. I feel at a loss to do my job. I don't know the best way to reach the heart of my children sometimes. But when all is said and done, and the day is FINALLY over with these wild children of mine fast asleep, I can't seem to resist sneaking into his room, climbing in bed with my sweet little boy, and cuddling him, while I pray for patience, endurance and wisdom for another day. DON'T MESS WITH MY GARDEN! I've already learned my first lesson in gardening. 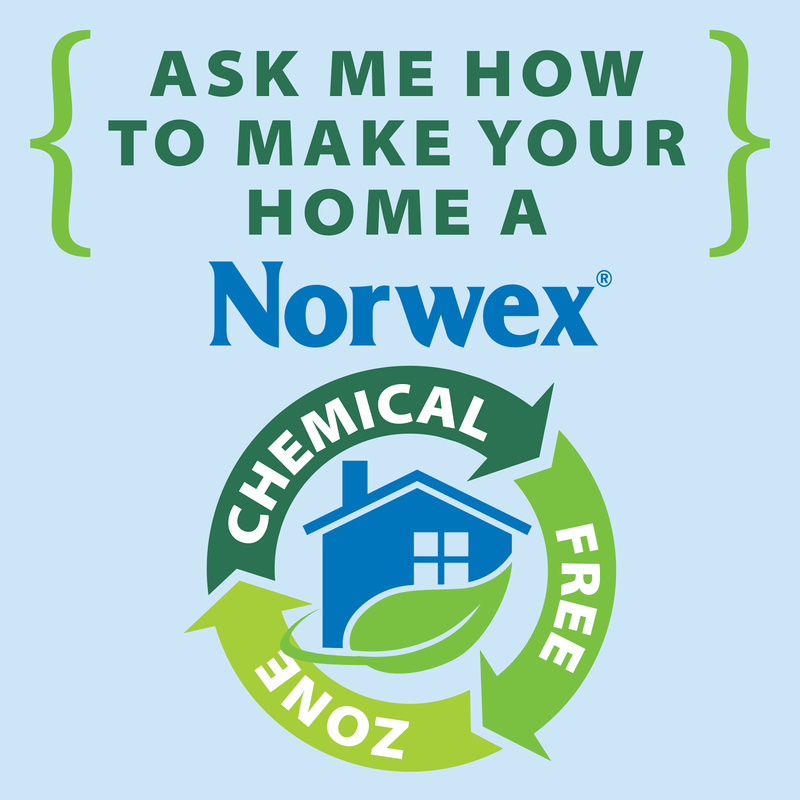 Kill the critters (or just buy something to get the critters out of my garden)! So, I heeded my friend, Ashley's, advice and went to Lowe's and purchased some Critter Ridder. It stinks...but works like a charm. LESSON LEARNED: Be proactive. Don't wait until your garden has become some other critter's dinner! I was reading blogs the other day, as I frequently do;) and read about an idea one of my friends had about making clean-up time fun. She made a picture checklist of all the things that needed to be cleaned up around the house so her kids could check off their accomplishments. Well, in my endeavor to get to the heart of Zeke's "freak-out" moments I decided that I'd tap into his love for superhero"ish" stuff and try something a little like this for him (and Areyna too of course) since we've figured out that another very common freak-out moment for Zeke is cleanup time. Not so much the cleaning part, but the "end of playing" part. So, in an attempt to eliminate this particular "freak out" moment, instead of saying "Alright guys, your 1 minute is up. It's time to clean up so we can go take a nap." I said, "Hey guys. I am going to write you each a secret clue. See if you can tell what it is and go find it and put it where it belongs. After it's put away come back to me for your next secret clue"
I mean, what kid can pass up secret clues, a scavenger hunt for the secret clue, and finding "the special place" to put their stuff. The only rule for my game is that you have to have a happy heart doing it. For some reason I've never had to repeat that rule! The pollen count has literally been off the charts the past couple of weeks here. (Believe me, I know...I "follow" WRAL Weather on twitter. Don't make fun!) Our allergies have confirmed this report! Well, you KNOW I'm a window girl, but this window girl has been forced to close up shop in order to maintain quality air control for my family. The thing is, you'd hardly be able to tell. Somehow, the pollen continues to make its way into our home, leaving yellow/green traces all over the furniture and pollen footprints on the floors. I can't tell you how many times I've vacuumed and dusted this week. Every time the we open the door to go outside the lurking pollen sneaks in. Zeke has appropriately deemed the pollen as "ewwww, poison!" I tend to agree with him the way it's wreaked havoc on our immune systems but alas, we had a breakthrough last night. Praise The Lord for rain! The color scheme on my front porch is no longer yellow. Okay, so I'm about a chapter and a half into Celebration of Discipline by Richard Foster. LOVE IT! to have somebody else talk to God for them. We are content to have the message secondhand. Wow! This is exactly why God was so saddened by the fact that the Israelites wanted an earthly King. It made me think about all the times I have relied on what others write or say about God's work in their lives. Sometimes I'll read or hear a good word and think that's enough insight for my day instead of getting alone with my God and gleaming from The Holy Spirit personally. I'm not saying God can't use others to speak to us or that we can't learn from others. If I were, I certainly wouldn't ever write about what God is doing in my heart. It's just, when we replace the lessons that God has to teach us personally with those lessons that are for someone else's benefit that we sell ourselves short of the lessons we are to learn in our own walk. I painted my toenails (and Areyna's too, of course). I don't remember the last time I sat down and did that. I made a lot of phone calls. All the laundry got washed, folded AND put away in ONE day! Got rid of all those pesky piles around the house. costumes and putting things in their rightful place. We had an unexpected visit to the doctor yesterday. After seeing Areyna's rash spread over her entire body and going in to see that her eye was completely swollen shut and after feeling completely spent from holding and consoling Micaiah for the past couple of days we decided to take them in. $50 later (and that's not including the money we spent buying out the CVS pharmacy!) we found out Areyna has pink eye and the pollen, in conjunction with the pink eye, has caused her to get an eyelid infection. She was also diagnosed with another infection that I won't bother mentioning to the whole blogosphere world. Micaiah was also diagnosed with full blown ear infections. Now, do you think it was that much harder to look in Micaiah's ears really quickly after checking Areyna's eye? I cannot figure out why I have to pay 2 co-pays when we are in there for the exact amount of time!!!! I finished up Claire Cloninger's, Dear Abba. I highly recommend this book if you are looking to enhance your prayer life. I was sad to see this book end, but am grateful for the practices I learned. My relationship with Christ has been brought to a new level for sure! I also finished up Forgotten God by Francis Chan this week. Our church went through a 4-week study about the Holy Spirit which coincided with this book. I love Francis Chan's writing! Humble, confident and convicting all at the same time! Yup, that was 2 books done in 1 week. But that's not all! I started 2 other books as well. I decided to broaden my reading realm and read this allegorical story that was given to me by a dear friend last week. I am really enjoying Hinds' Feet on High Places by Hannah Hurnard. 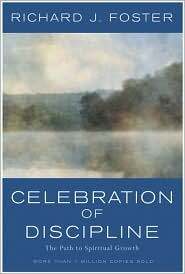 I also began Celebration Of Discipline by Richard Foster. I'll let you know how this one is once I get more into it. Has perfected his pincer grasp. white and sweet potatoes, bananas, pears, apples, avocados. The boy LOVES bread too! I started putting Zeke on the futon in Cai's room for naps. It felt so funny to say, "Boys, I'm serious...NO MORE LAUGHING!" "Sorry mommy, I just can't stop laughing at him...he's so cute!" HA! Has started using a sippy cup. Makes more of a mess than anything, but he likes it. Loves music. He is more relaxed when Josh is practicing than any other time. when I go pick him up from the nursery. He is a momma's boy for sure! We took our Holy Week activity of planting seeds to another level this year. I've been wanting to plant a garden for years and this week I think I got as close to fulfilling my fantasy as I'll ever get! We decided to plant vegetable (and strawberry) seeds this year. It won't nearly have the same effect as the fast growing seeds we've done in the past but we thought it would be a nice change. Determined to have a garden, I turned a section of our backyard into my own garden. Don't laugh, I've NEVER done this before and could use any tips for gardening that you could give. Now, giving my track record for actually KILLING vegetation I'll be surprised to see if I can keep these veggies alive!